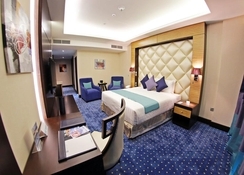 Armada BlueBay**** resort is located in one of the spectacular Armada Towers, by the Jumeirah lake, opposite the Emirates Hills exclusive development, The Palm Jumeirah and Dubai Marina, and close to the business and financial district. The hotel is designed to meet the needs of different segments of travelers, be that couples, families , business travelers or working visits.? It is located 39 km from Dubai International Airport, 15 minutes from the city center and 5 minutes from the Jumeirah Beach. The hotel has 78 spacious rooms distributed in 50 double rooms, 14 Junior Suite and 6 Senior Suites, where the decoration, distribution and services have been designed taking into account even the smallest detail. The hotel has 78 spacious rooms distributed in 50 double rooms, 14 Junior Suite and 6 Senior Suites, where the decoration, distribution and services have been designed taking into account even the smallest detail. The double rooms are decorated with modern furniture and all the necessary equipment to facilitate a comfortable and pleasant stay. Studios include an integrated lounge, a perfect place to relax whilst contemplating the surrounding views. The junior suites do not only feature a lounge, but the bedroom is completely separate from it, so that the rest is not a problem after a long, busy day. All bathrooms are equipped with a hairdryer and a magnifying mirror. Armada BlueBay restaurants are part of the Blue Gourmet line of BlueBay Hotels & Resorts, prestige-attested by quality ingredients, variety and excellent service. 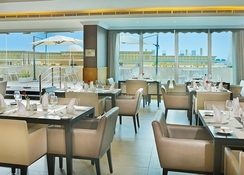 Terrace snack bar on the first floor, perfect for aperitifs and enjoyment of the Dubai night. Incredible views of the skyline. The Cigar Lounge, where you can enjoy of the best cigarettes and cigars in the world, as well as a selection of drinks. International cuisine restaurant open for breakfast, lunch and dinner. Restaurant serving traditional Greek dishes prepared with original products. Spa with hydrotherapy, facial and body treatments. Beauty clinic with the latest treatments in cosmetic medicine. Outdoor pool. 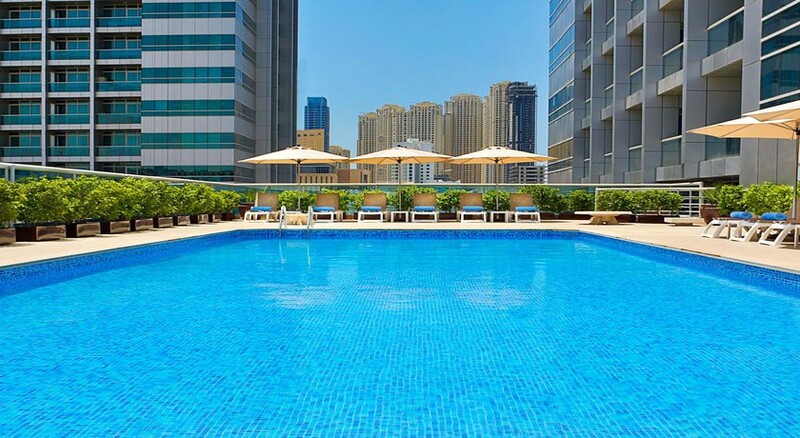 The hotel outdoor swimming pool is open daily from 10:00 AM till 7:00 PM all year long. The use of room towels is strictly forbidden. Please ask the Pool Attendant for towel service. 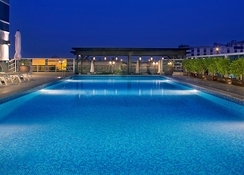 It is located 39 km from Dubai International Airport, 15 minutes from the city center and 5 minutes from the Jumeirah Beach.